Hello again, yes I’m back, Althea Twyst, Dowager Duchess of Chellingworth. This lovely lady who writes about me and my friends who run the WISE Enquiries Agency here at Chellingworth Hall in Wales has invited me to return to speak to you on a topic about which I know a great deal – tea. Do you enjoy tea? Oh good. Yes, yes, I understand you might think a woman who’s been a duchess, and now a dowager, for most of her life doesn’t know much about actually making tea, and I’ll go so far as to admit that having servants (now we call them “staff”, of course) to do it for me for the last fifty years means I’ve become more accustomed to telling others how to make it than having to prepare it myself. However, I was born to what one might call a perfectly normal family (one where no one had so much as a steady job, let alone a title) and didn’t meet my wonderful Chelly until I was a dancer on the stage in the West End of London in my late twenties. By then, I’d already made thousands of pots of tea for myself and others, especially when I was a waitress at a café in London – but that’s another story; suffice to say, I speak from a basis of extensive experience. How did I meet my dashing duke? Let’s talk tea first, then we can natter. A good cup of tea begins with water. Yes, not tea, but water. Wales is blessed with soft water – and a lot of it. 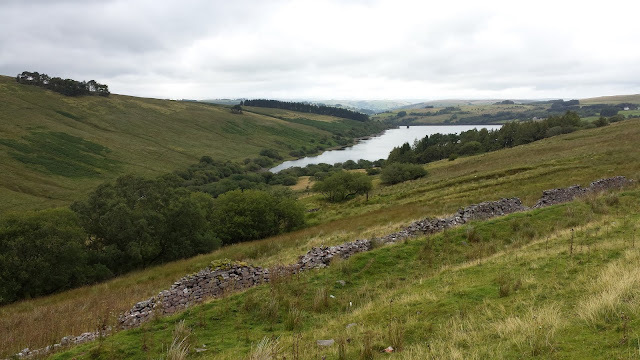 Some might say it hardly ever stops raining here, and we have some exceptionally picturesque reservoirs nearby to bear witness to the fact our water is truly local. If one begins with unpleasant water one is doomed to sip an unpleasant cup of tea, so – do what you must – begin with good water. Then there’s there's the tea itself. Of course people have their own specific preferences, and for me that means a good, full-bodied blend of Indian and African tea leaves every time. 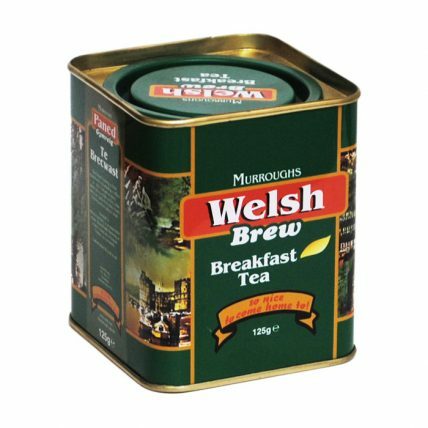 Delightfully, a family in Swansea, which is quite close to us down on the south coast of Wales, introduced a tea called Murrough’s Welsh Brew and I adore it. 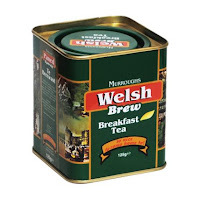 Sometimes I drink their Breakfast Tea all day, because it’s a little stronger – you know, it has a bit more oomph – but their ordinary tea is excellent to, and they are Welsh, which matters a great deal when one is a Welsh duchess, albeit now a dowager. Next there’s the pot. I don’t care for tea bags and mugs; I cannot abide the idea of dunking a little bag – be it round, square, or even pyramid-shaped – of so-called “leaves” into a mug filled with tepid water for a few moments and imagining one is having a proper cup of tea. The pot should be capacious enough for one’s guests’ requirements – it’s rather rude to have to top up the pot before everyone has been served with their first cup, but, otherwise, its dimensions and decoration are immaterial. 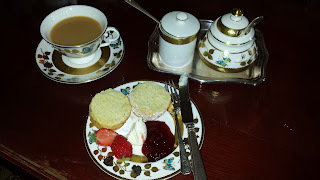 Of course one finds that the different materials used for pots - fine bone china, stoneware or silver - can lead to a more rapid cooling of the tea, but that can be allowed for. The pot must be warmed first – boiling water should be swirled in the pot for at least thirty seconds, then rinsed out. Then the leaves are placed in the pot and boiling water is added. When I say boiling, what I mean is that the kettle has come from the hob to the pot so the water has just come off the heat - none of this hanging about business. 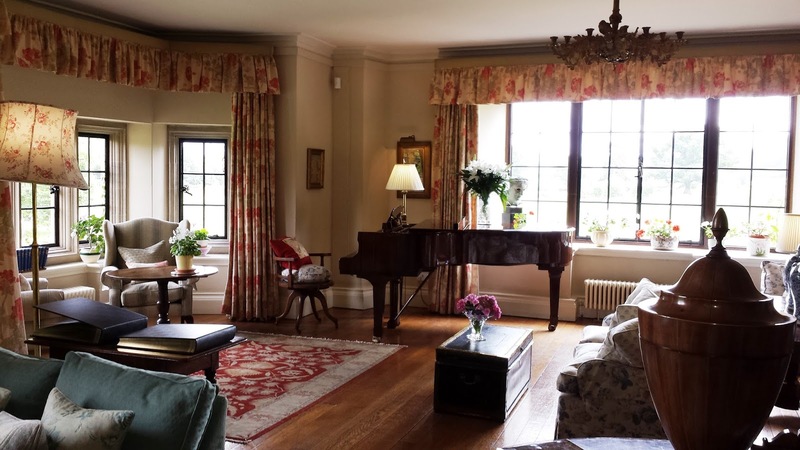 The pot's lid should be a snug fit and, if necessary – which it can be when a room is chilly or drafty, which many of them are at Chellingworth Hall, though less so at the Dower House – a cozy of some sort can be used to allow the pot to retain its heat while the tea brews. 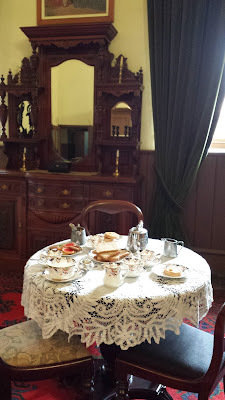 Would you like to take tea with me, here? Now that I live at the Dower House, which is quite compact, I know it takes only a couple of moments for a tea tray to arrive from the kitchen.The delivery of a tea tray within Chellingworth Hall, which has two hundred and sixty eight rooms – many of which are, of course, not in daily use – means it can take longer there than one might wish for the tray to arrive, but I would rather drink over- than under-steeped tea any day of the week. That being said, the correct amount of time for tea to steep is absolutely no less than five full minutes. Then there’s the question of milk. Not whether or not one should take the type of tea about which I am speaking with milk, as that is a question of personal taste, of course. The real question is: should the milk be poured into the cup first, or the tea? “MIF” or “TIF” as the saying goes – you know “Milk In First” or “Tea in First”. I’m absolutely a "TIF". I’m sorry to say that some have lost sight of the niceties of life, and I therefore feel compelled to mention that the reason milk should be added after tea is that it allows the hostess to pour plain tea and hand off cups and saucers to guests, with them taking the responsibility of adding as much milk and sugar as they please, to suit themselves. Thus, when serving my family I will happily add milk because I know exactly how they like to take their tea, but I would never do so for my guests. The real advantage of adding milk to tea, rather than vice versa, is to allow the balance of the two liquids to be dictated by the specific strength of the tea in the pot. I find tea that is too milky rather turns my tummy, and I don’t care for that at all. And there you have it – the perfect cup of tea. I have to admit we do get through quite a few of pots of the stuff when we are working on our investigations, but that’s to be expected; tea is the fuel of life. Of course, it often requires a little sweet something to accompany it, but that's not so unusual, is it? Sign up for Cathy Ace's newsletter at her website to receive news and offers not made available elsewhere. The next newsletter will be sent on February 1st - don't miss out! What a wonderful (and thorough) explanation of why people who are not Americans are so involved with their tea! My grandmother worked for Lipton Tea in the 1950s, so I was steeped in tea lore (all right, terrible pun) from an early age, and have 14 teapots at latest count. And she always used milk, as do I. Oh, the books are delightful too! I have had the pleasure of reading The Case of the Curious Cook. It was lovely. And it comes as no surprise that such a brilliant woman as the Dowager Duchess would know exactly how to produce a perfect cup of tea. Does the teapot have a strainer, maybe built into the spout, that keeps the leaves from going into your cup of tea? Hello Celia - Althea here....Some teapots do, indeed, have a small strainer within the neck of the pot/spout. However, I don;t find them terribly satisfactory as they easily clog up. There is a wide range of effective tea strainers available - from the everyday to the delightfully ornate silverware one I favour - which can be used. The tea is pored from the pot through the strainer. They usually come with little "stands" or holders which allow the strainer to be placed upon the tray/table without dirtying the cloth/face. I have to admit that tea & this series are two of my favorite things in life. I like PG Tips tea when I can find it. Otherwise, Lipton's will do. Thank you, Althea, for answering my question!